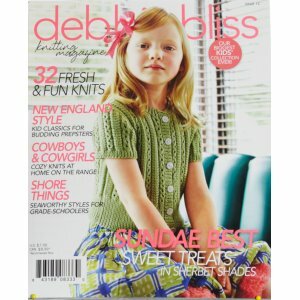 Best known for her luxurious yarns and chic patterns, renowned British knitwear designer Debbie Bliss launches Debbie Bliss Knitting Magazine. Published for new and accomplished knitters who gravitate toward the unique story and personality behind the products they love, Debbie Bliss Knitting Magazine showcases Debbie's fresh sensibility, charming wit, and modern designs. Rowan Knitting Magazines - Rowan Knitting Magazine #65 and Noro Knitting Magazine - Issue 14 - Spring/Summer 2019 are both similar books: magazines and periodicals category.